#2017 at North Freedom, July 13, 2003. Paul Swanson photo. #2017’s dining room, 1988. Pat Weeden photo. #2017 was built in 1914 as a first class coach (using the same number) by the Barney & Smith Car Co. The car is of steel construction and has six wheel trucks. As a coach, the car had plush walkover seats, electric lighting, and full vestibules. 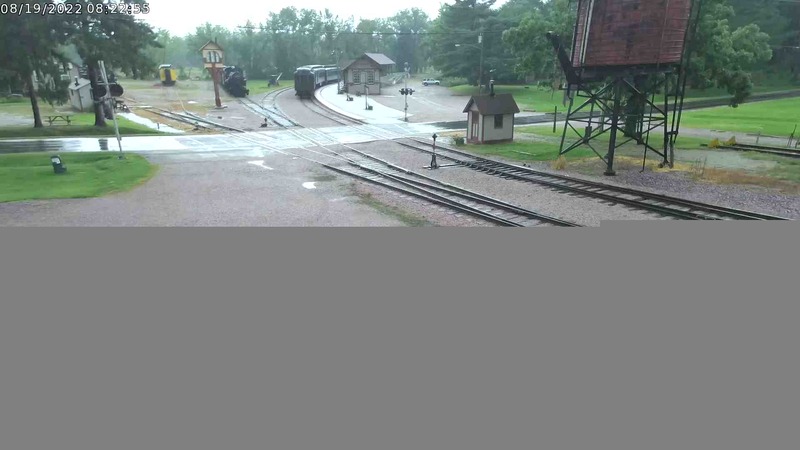 The car was updated over the years as the Soo Line equipped it with air conditioning and removed the upper clerestory window sashes. 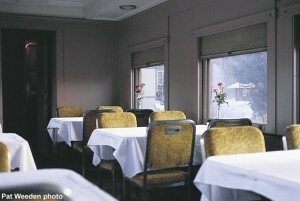 In 1948, #2017 was rebuilt into its present configuration as a diner-lounge by the Soo Line at its Shoreham Shops in Minneapolis. The car has a lounge, dining seating, a small galley, and wet bar. It was during the 1948 rebuild that the vestibule on the lounge end of the car was removed. 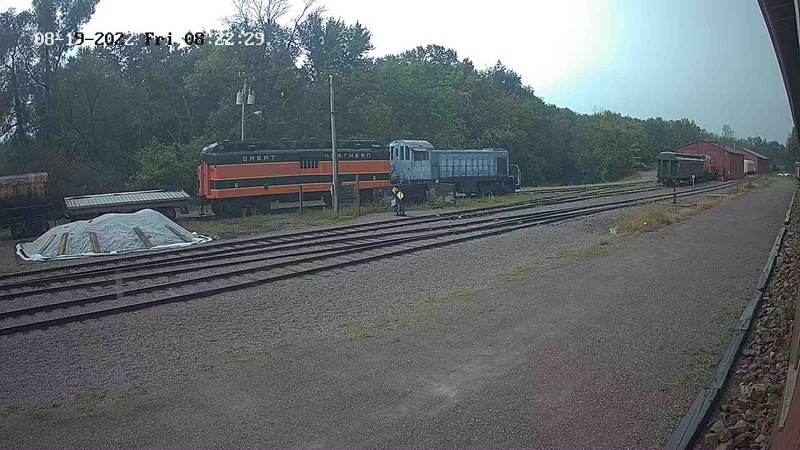 #2017 was regularly used on the Soo Line’s Laker between Chicago and the Twin Cities until the passenger train was discontinued in 1966. In 1966 the car was sold to a private individual and moved to Hayward, Wisconsin where it was stored for several years. It was resold in 1971 and moved to Duluth where the car was completely restored to its 1948 appearance. 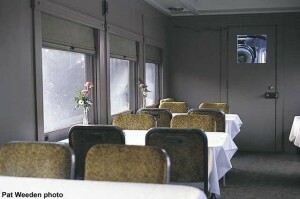 In July 1978 the car was moved to Mid-Continent at North Freedom and leased for use in first-class and dining service. It was purchased by Mid-Continent in 1996. Today, #2017 is operated during special events at Snow Train, Autumn Color, and for the Santa Express.